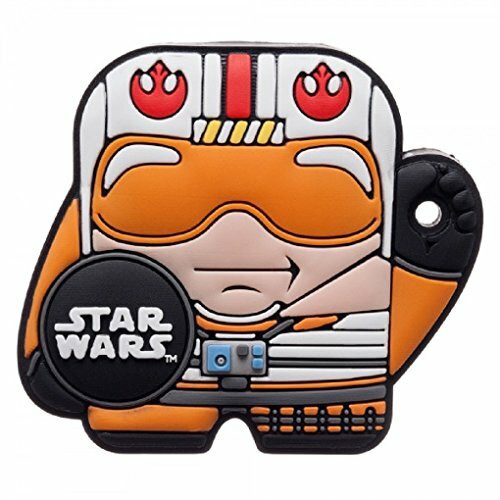 Star Wars Foundmi Bluetooth Tracker tag (Pilot Luke Skywalker) by Faerynicethings at Kode Fu Guru. MPN: PD43810. Hurry! Limited time offer. Offer valid only while supplies last. Maximum range is 100 ft.
6 month battery life with replaceable CR2032 battery. Bluetooth 4.0 - Requires iOS 8 or Higher for iPhones or Android Devices using 4.3 or higher. If you have any questions about this product by Faerynicethings, contact us by completing and submitting the form below. If you are looking for a specif part number, please include it with your message.